Washington Hometown can provide and manage the data to help non-profits, cities, counties and state or federal agencies better understand or promote their recreation resources. We can provide you with an inventory of your resources and work with you to keep it maintained, help you understand available resources in your area that are outside of your management, and create maps for studies and grant applications. The Recreation and Conservation Office uses Washington Hometown's data for a map of recreation resources as well as to evaluate grants and analyze recreation gaps. You can subscribe to our data and use it in your own mapping software or use the spreadsheet output as an inventory of resources in your area. 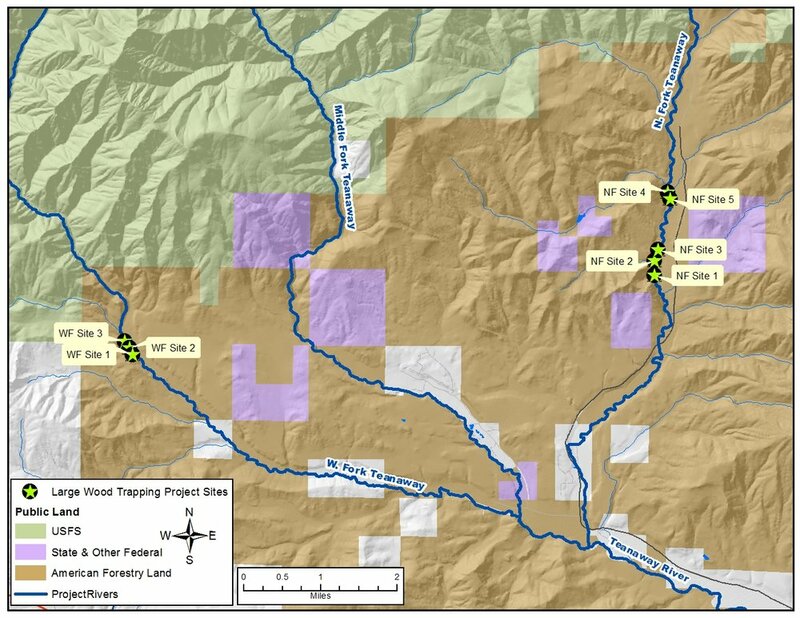 Washington Hometown creates maps for Mid-Columbia Fisheries, mixing data from our public lands and recreation data set with custom project data. We can create custom printable maps that you can use to support grant applications or to analyze resources. Mountains to Sound Greenway subscribes to our data, but they are also regular contributors adding information on projects that they are working on, and helping to coordinate new information from their partners. If you have data to share, we can incorporate it into our project, helping people find what makes your community special. You can contribute spatial data (KML, shapefile, GPS), maps that we can digitize and incorporate, or information about places that are already in our database. You will be credited for any new places that you add with a link back to your community's web page.